Among the many industries affected by the government shutdown, craft beer is facing a crisis that could prevent consumers from trying new brews. The issue facing many existing breweries and startups is that the agency responsible for overseeing the alcoholic beverage industry is closed for business. 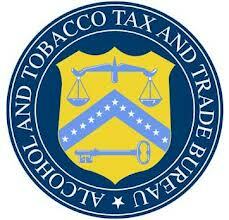 According to the Brewers Association, the U.S. Alcohol and Tobacco Tax and Trade Bureau (TTB) cannot review new permit applications or certificates of label until the shutdown is resolved. That means no new breweries can open, and existing breweries can’t bring new beers to market. This is especially harmful to the craft beer industry as any new beer formula that requires adjuncts (additives to the beer such as spices or fruit), also require oversight from the TTB to make sure the product is safe. It also requires that changes in labeling on cans or bottles be approved by the agency. “It is our understanding that the only functions will be tax collection from existing permit holders and enforcement functions,” Brewers Association Director Paul Gatza said. “This limit of service means that potential new taxpayers and potential tax revenues from new beers will not occur, so the federal government could, in theory, be missing a chance at these potential revenues at a time when our government could use this revenue.” said. Even before the shutdown, the TTB was already dealing with a decreased staff and brewers had to deal with long approval delays. Gatza said the average wait time for formula approvals was about 45 days. Add in the shutdown and the effects are multiplied exponentially.